Synopsis: Powerful, darkly funny and heart-breaking, Shtum is a story about fathers and sons, autism, and dysfunctional relationships. This book is absolutely incredible. As someone who thoroughly enjoyed The Curious Incident of the Dog in the Night-Time, I was slightly nervous when I saw that the comparison had already been made. However, I was not prepared for just how touching and profound Shtum would be. 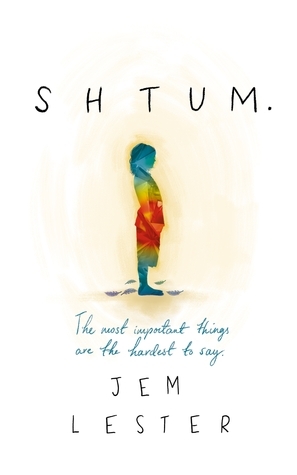 Shtum is a deeply moving and emotional read. In fact, I felt so emotionally affected by this book that I still find it hard to view this as a fictional piece. Maybe this is because it so cleverly and accurately displays the secret lives of so many families in the same situation. Shtum explores just how far two parents can be willing to go to protect their children’s best interests, no matter what this could mean for them. This beautiful book is full of sadness, despair, sacrifice, love and an overwhelming sense of anger. An anger that people outside the family cannot understand what is best for autistic ten year-old Jonah as he faces starting a live in secondary school. Ben and Emma (Jonah’s troubled parents) are desperate for Jonah to move to a residential placement for school and we join their story in this novel as they embark on an appeal against the local council to pursue their dream for Jonah. Through their journey we learn the painstaking sacrifices they have made to protect their son. Marital problems, alcoholism, addiction and emotional distress are just a side dish to the unlimited love they hold for their son. Embarking on life as a single father, Ben moves himself and Jonah into his own father (Georg)’s house where we learn that despite Ben’s frustration at Jonah’s non-communication, he himself lacks the ability to fully communicate with his own father. We follow a very special journey with these three men. Georg offers the right amount of humour for this novel with his sarcastic quips but I couldn’t help fall in love with the affectionate side he shows to his precious grandson. Later in the novel we learn exactly why Georg adores his grandson so much and it left me in floods of tears. We also see Ben learning to communicate with his father, but has he left it too late? As someone who works with autistic children, I thought this was a very painful, hard-hitting but accurate portrayal of just how difficult life is, not just for the autistic child, but for the families affected by it. Countless people are fighting the battles we see in Shtum on a daily basis and that is why this novel is so incredibly important. The most poignant part of this novel for me is the fact that we follow this story through the eyes of the father. Something which is not often explored in literature, or even in the media. I thought it was incredibly touching and emotional to read how a father’s perfect love for his son could be so self-destructive. Ben is willing to sacrifice everything for his son and I think this is something which is often left out of fiction. Shtum will have you laughing and crying right up until the final pages. A poignant, emotional and touching read which will stay with me for a very long time. Thanks to Netgalley, Orion Publishing group and the author for my arc in exchange for an honest review. Have you read Shtum? What did you think? Are you planning on reading Shtum? Thanks so much! I loved this book, it is so incredibly important that books like this are written. I still find it hard to remember it is fiction because it deals with reality in such a poignant and accurate way! Glad to see you also enjoyed it.